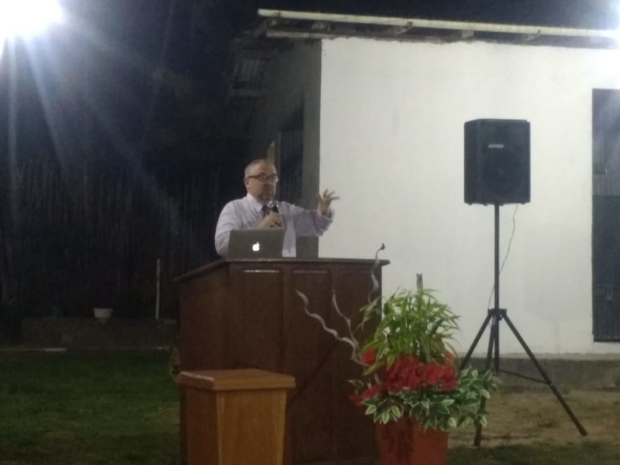 Last weekend I had the opportunity to speak at evangelistic conferences for a church in the city of Maracanã, in the northern state of Pará (the next state to the north of Maranhão). 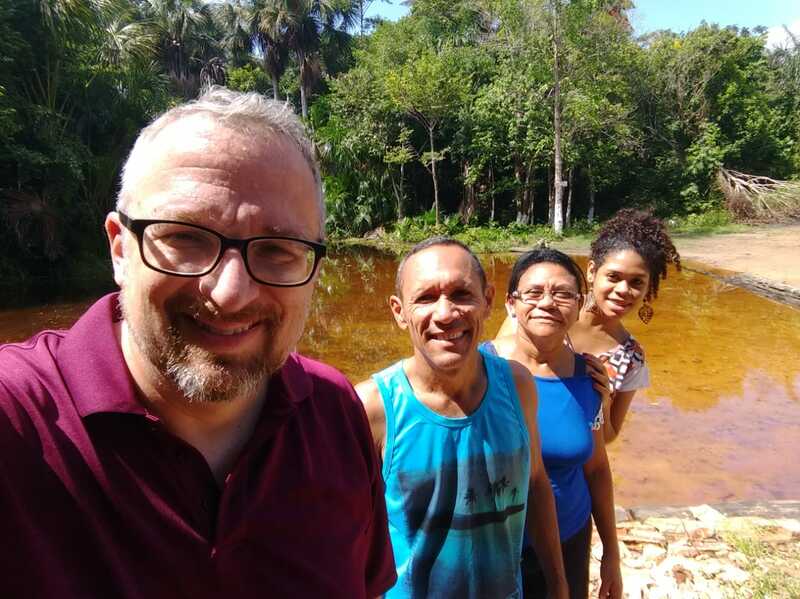 It was wonderful to see my good friends Pastor Izaías and Claudete, to get to know their ministry, and to be able to preach the Gospel to many who needed to hear it. A few days ago I posted some pictures I took from around the area. Here are some pictures and videos of the conference itself. My gracious hosts, Pastor Izaías, his wife Claudete, and their daughter Hadassah. 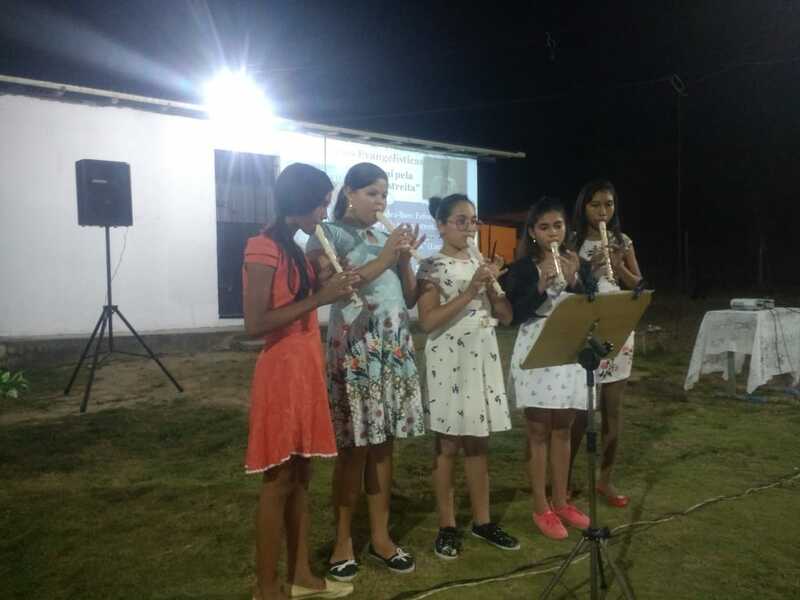 Recorder choir, directed by the pastor’s daughter. The theme for the conference was “Enter in at the Straight Gate”. 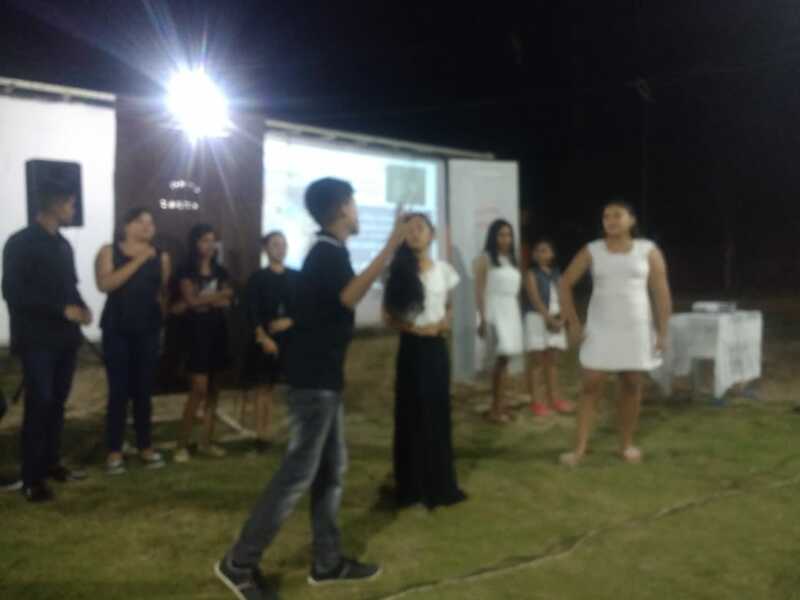 Here the young people put on a skit about choosing the right gate to enter. I really enjoyed the study and preaching from Luke 13. God graciously blessed, and two people responded to the Gospel invitation on the last night of the conference. Here are a couple videos. The first one is of a presentation done by the kid’s choir. Keep your eye on the little guy in the front row, on the right. Time and activity have kept me from doing much with the saxophone of late, so it was great to be able to borrow one and do a little impromptu duet with Pastor Izaías.